Team 2 had a very informative second meeting this week. 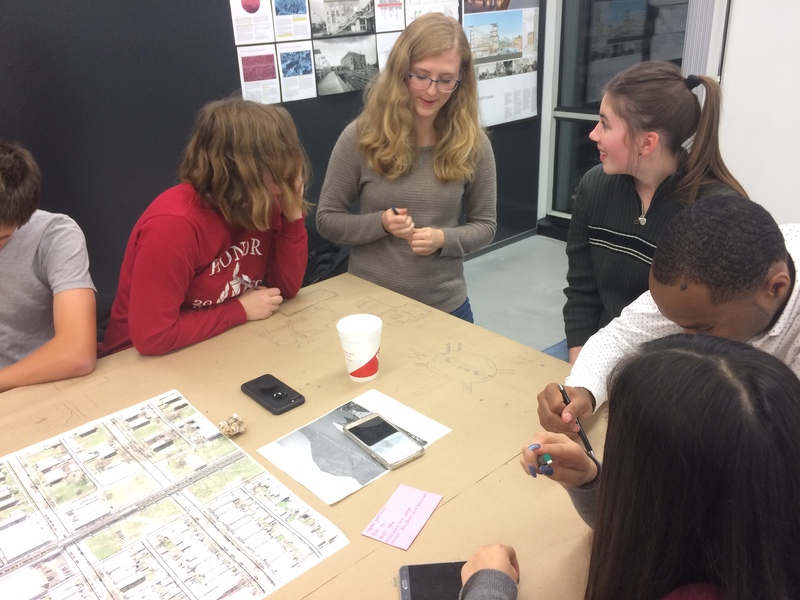 While the group was eating dinner, HDR gave a presentation about site analysis and its importance in selecting locations and developing designs. Zach showed an example of a site analysis for Goose Island in Chicago. The analysis included considerations for area needs, transportation possibilities, and zoning requirements for the island. This information was then used to propose ideas for potential development of the area. The site analysis discussion then led into an introduction to the CIRT (Construction Industry Round Table) national competition. The theme for this year is urban block revitalization, which has a goal of transforming a formerly loved urban block. The design should enhance new living, stimulate civic appropriation systems, revive old usages, encourage new activities, and enhance job development, all at a reasonable cost. The final submission will require 1-2 A1 Boards with drawings, photographs of physical models, snapshots of 3D models, brief written explanations, and a narrative of the design process. This is dude on March 7, so the group has less than four months to complete the project– a lofty but achievable goal. 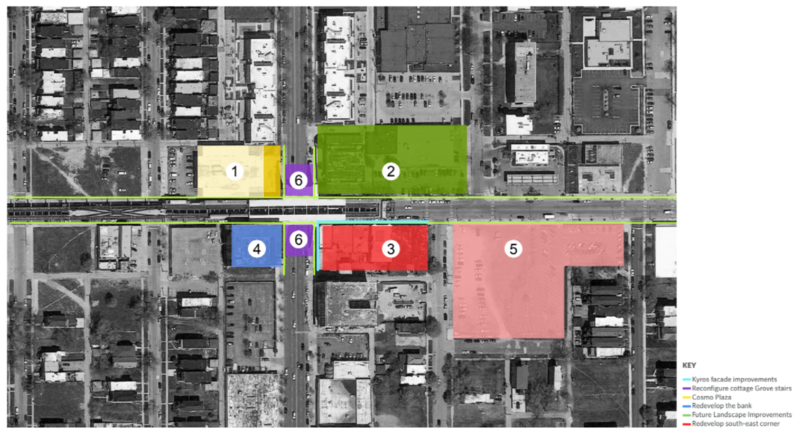 The site for group 2 will be Woodland/63rd and Cottage Grove Green Line Station, which HDR is currently working on. Currently, the area is run-down and in need of revitalization. There are 6 possible areas that can be developed, shown in the graphic below. 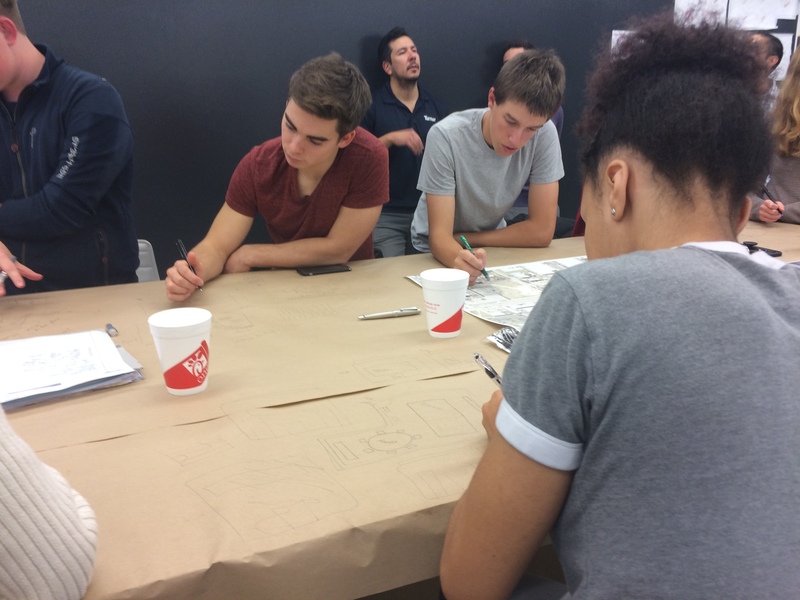 The group decided to choose three of the sites and develop them for the national competition. Students then used the information learned in the site analysis presentation to start the planning process for the site. Encouraged to get all their ideas on paper, students sketched and wrote anything that came to mind in an effort to get as many ideas out there as possible. Even with a limited time of 15 minutes, it was incredible how many ideas were developed and presented. This was a great way to get the ball rolling for the national competition and get everyone thinking about what they’d be interested in designing. Team 2 wrapped up the meeting by advocating for which three of the six sites to design for the competition and ultimately voting. Stay tuned for results! Up next: construction activity; bubble diagrams.